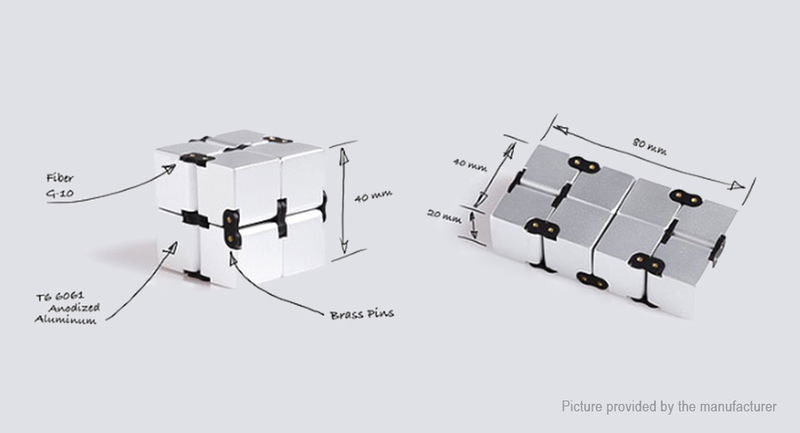 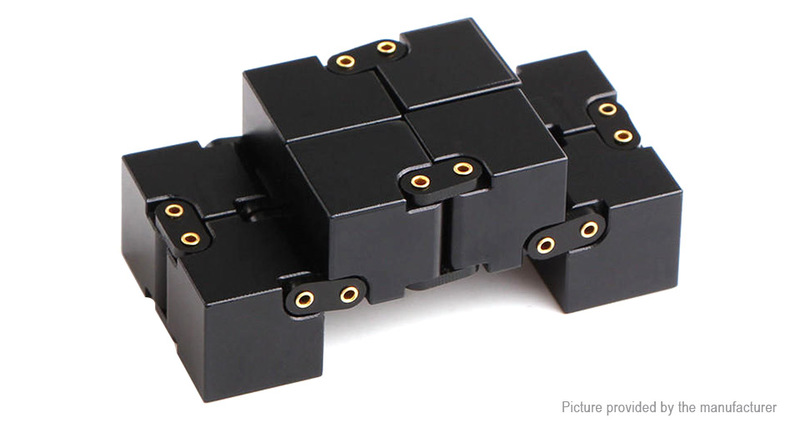 Each sub cube is precisely machined and assembled to form an overall size of 40mm cubed. 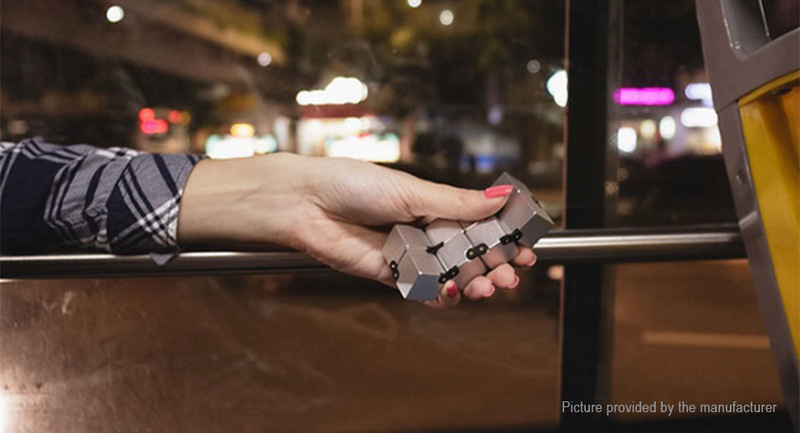 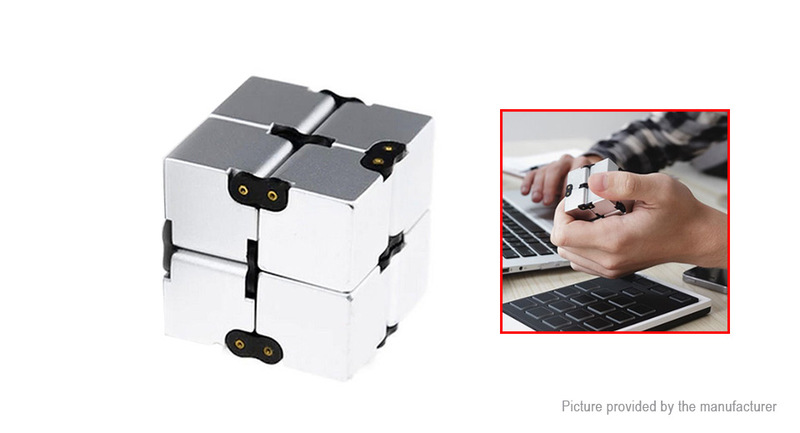 When laid flat, Infinity Cube is only 20mm thick, no thicker than your wallet, and easily pocket-able. 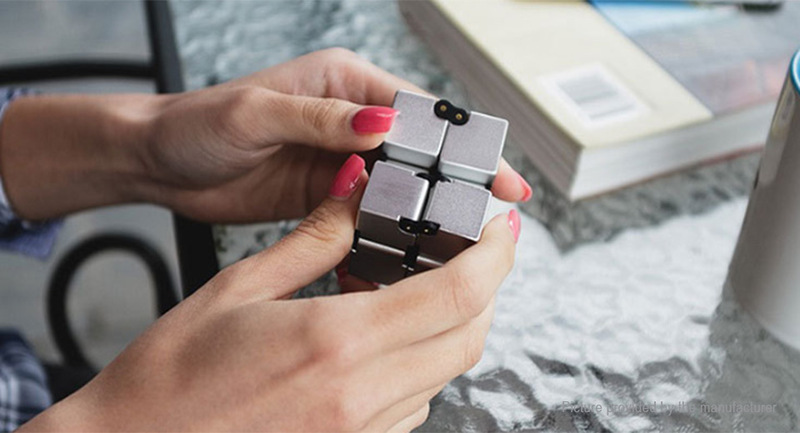 This is painted plastic, not anodized aluminium.